Bear Valley Denver Real Estate is located in South Denver just above Highway 285. It's a beautiful Park lined with some very nice homes. Take a look below for some more information about what's available. 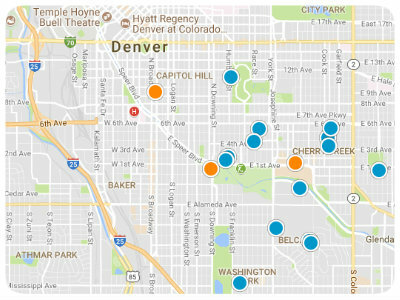 We showcase current Bear Valley Denver Real Estate in a slick map based graphical interface to make your property search simple. Visit this page again and again as our Bear Valley Denver Real Estate feed updates every 2 minutes. Tenant occupied on a month to month basis. Property can be vacant prior to closing. Seller will clean, paint, and make repairs as necessary. Nice third floor unit. Tenant occupied on a month to month basis. Owner says property will be delivered to Buyer cleaned up and in good condition.